Award-Winning dining at some of the best restaurants in Singapore. 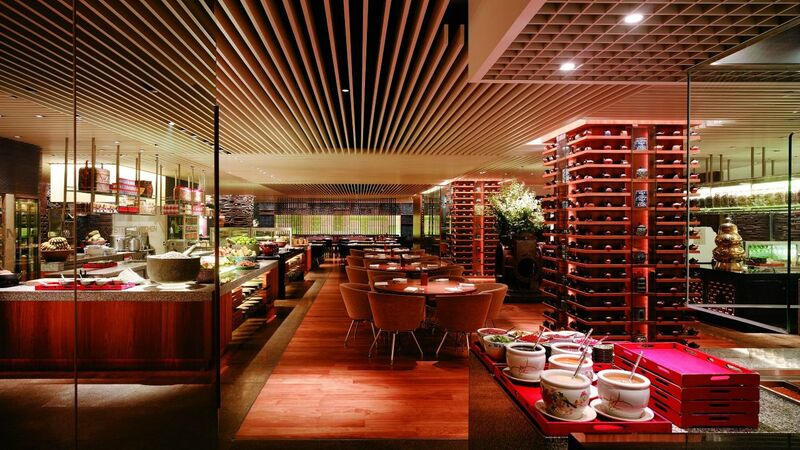 Discover an exciting and contemporary hotel restaurant in Singapore along Scotts Road featuring Asian and Western cuisines. With nine different dining experiences, you can choose to sit in any area and still order from all the show kitchens around you. Choose from the thai kitchen, sushi bar, grill, steam basket, sustainable seafood counter, patisserie, party room and martini bar. If you are looking for the best venue in Singapore to have international fare, a sumptuous Sunday Brunch and specialty cocktails, mezza9 is your choice. Located on the Lobby Level, StraitsKitchen is one of the best restaurants in Singapore with halal-certified kitchens presenting local cuisine in a contemporary marketplace setting. Indulge in an endless buffet line-up of hawker favourites from the Chinese, Malay and Indian open kitchens. Showcasing Singapore dining at its best, StraitsKitchen provides the ultimate experience for guests who wish to savour popular local dishes in one seating. Sat, Sun and PH: 6:30 a.m.–11:00 a.m. Sat, Sun and PH: 12:30 p.m.–3:00 p.m.
Prices quoted are subjected to 10% Service Charge and prevailing government taxes. Prices quoted are subjected to change. Located on the lobby level, 10 SCOTTS exudes an aura of elegance and relaxation with its contemporary yet classic décor complemented by a breathtaking view of the five-metre cascading waterfall. 10 SCOTTS, one of the few restaurants in Singapore with an address that is perfect for that business coffee meeting, afternoon high tea or leisurely evening cocktail amidst home-like space that exudes luxury. 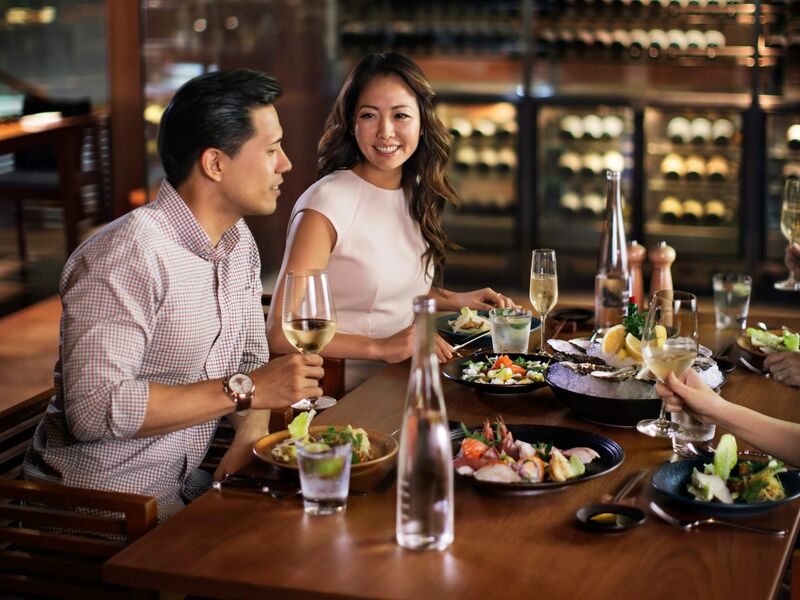 Friday and Saturday: 12:00 p.m.–0:00 a.m.
First seating: 12:00 p.m.–2:30 p.m.
Set amidst lush greenery in tranquil surroundings, enjoy Singapore dining at Oasis featuring a delicious BBQ dinner daily with an open bar. Located on the 5th level of the Terrace Wing, relax and enjoy as the chefs prepare meat and seafood selections a la minute on the open charcoal-fired grills at this hotel restaurant in Singapore. If you are looking for one of the best places in Orchard for a BBQ dinner, Oasis is the perfect place. 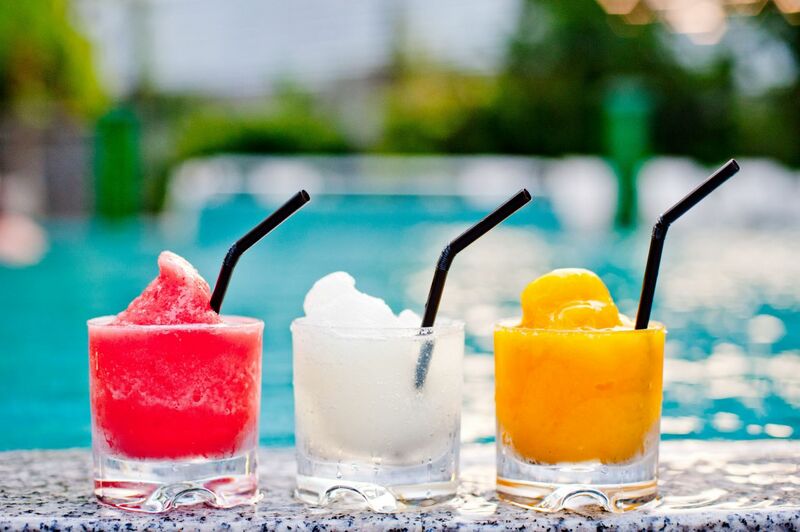 Hold private BBQ and pool parties at the Oasis gazebo during special occasions, or just as a retreat from Singapore’s busy lifestyle and concrete jungle. Being one of the best restaurants in Singapore for tasty Italian cuisine, Pete’s Place is the place to visit for Sunday Brunch with your family and friends. 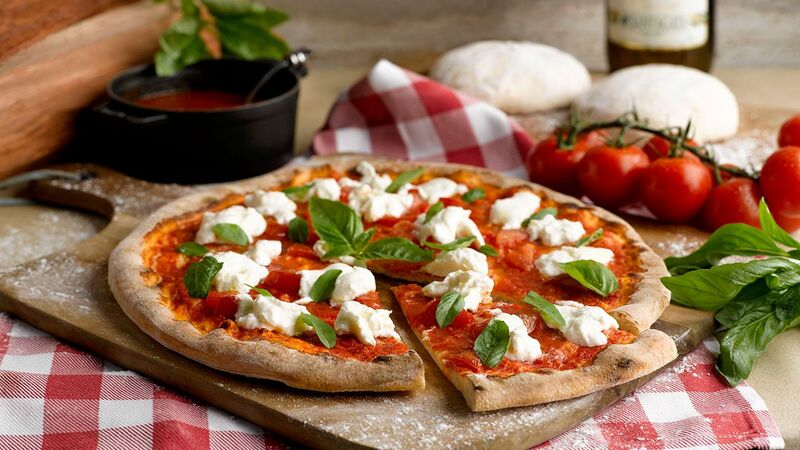 Located on the basement level, Pete’s Place specialises in authentic Italian cuisine from homemade pastas to wood-fired oven pizzas. 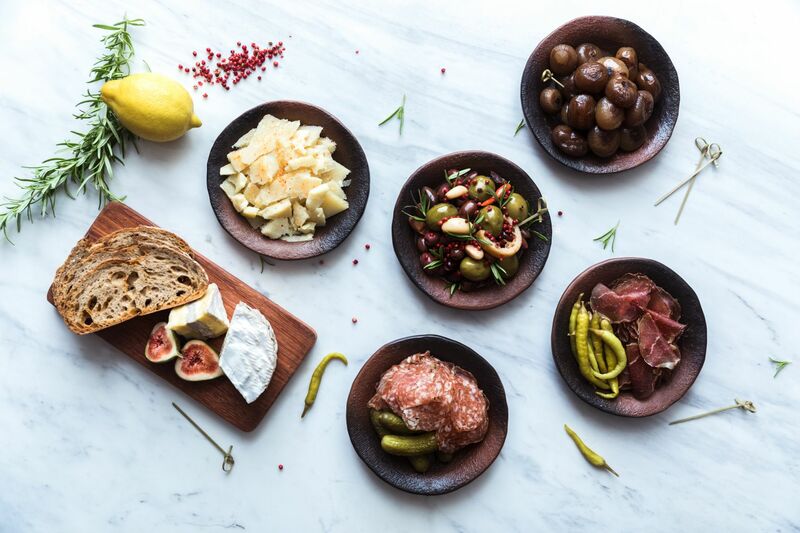 The bread counter offers freshly baked breads, a salad bar that features a healthy selection of salads with a choice of dressings, and classic Italian favourites. A delicious and healthy plant-based lunch is also now available. The glass-enclosed martini bar in Singapore is located in mezza9 on the mezzanine level. Having won numerous awards, it is the place to go for the best martinis in town. With an extensive drink list showcasing over 30 handcrafted martinis to choose from, the martini bar is a haven for real martini lovers! Monday – Thursday: 5:00 p.m. – 12:00 a.m.
Friday and Saturday: 5:00 p.m.– 1:00 a..m.
Every Sunday: 3:00 p.m. – 12:00 a.m. Enjoy a special price of SGD 14++ on all selected house pour martinis, cocktails, wines by the glass and spirits (except bottles), SGD 9++ on all beers and SGD 56++ on all house pour wines by the bottle. 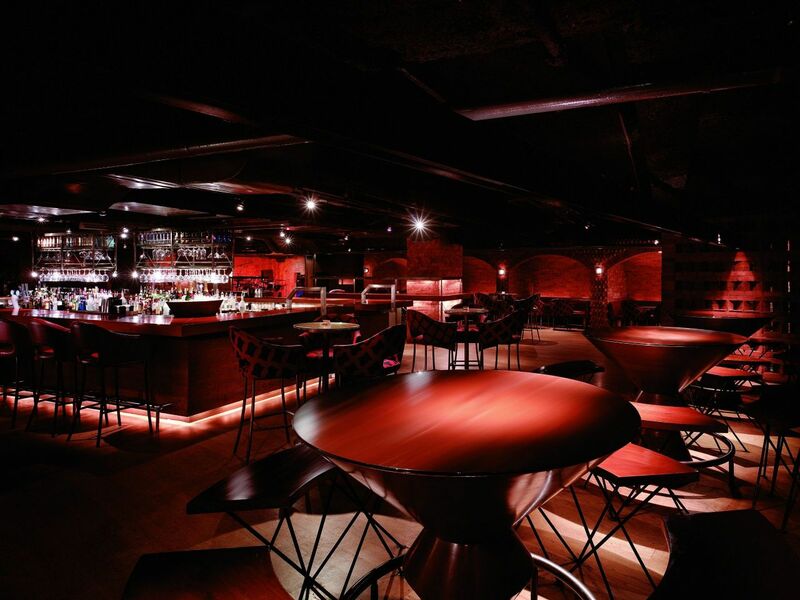 Kick back at one of the hottest bars in Singapore at bar BRIX, located on the Basement Level. This Singapore lounge features three different sections in which to chill out and party in Singapore all night long. 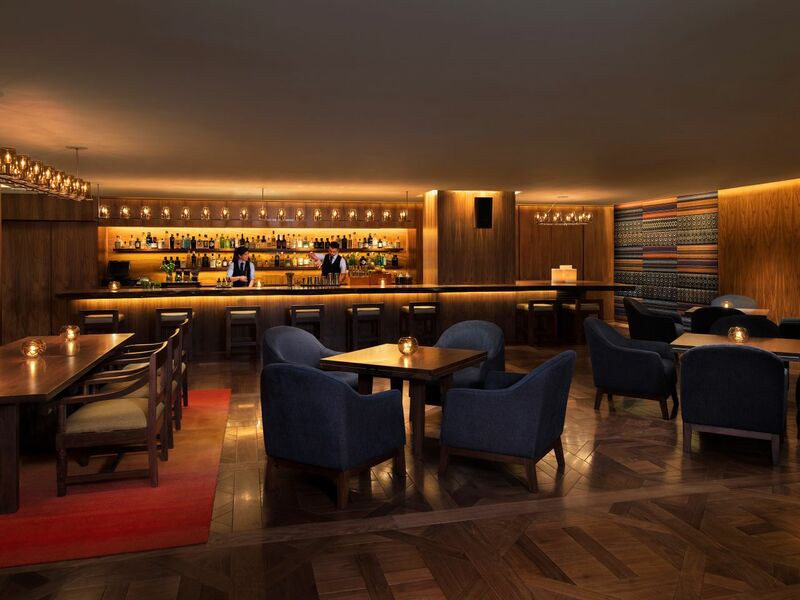 The Wine and Whisky Bar features a selection of wines, single malt scotch, cognacs and liqueur. Live music is the highlight of BRIX. With a repertoire including popular favorites and modern tunes, let an international seven-piece band reel you in for an unforgettable night out. There are live band performances every Monday to Saturday, 10 PM till late. 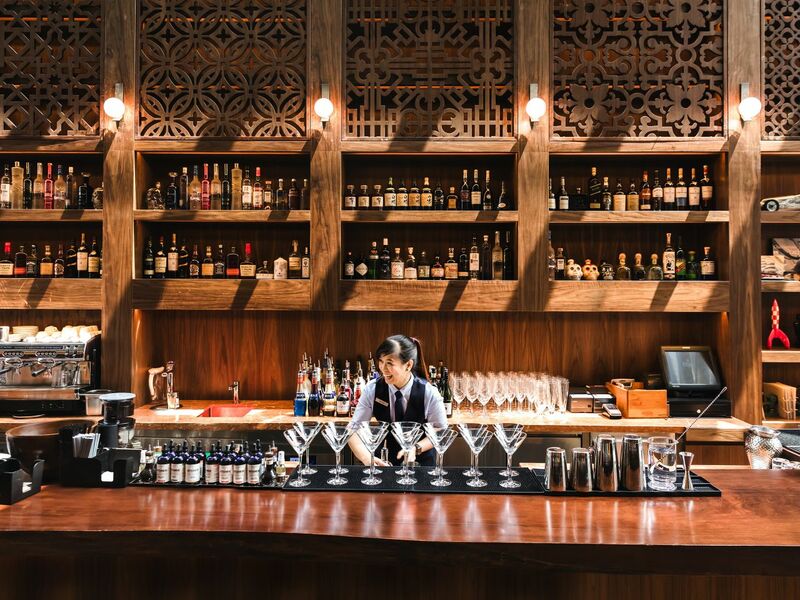 This 68-seater venue in Singapore, with its spacious seating and stylish ambience featuring hand-woven Peranakan fabrics on its walls, is the ideal venue for all merry-makers to unwind and catch up over bespoke and artisan gin and tonics in a warm residential environment.